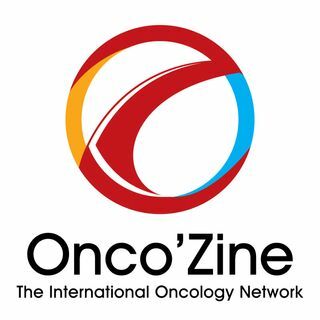 In this Edition of the Onco'Zine Brief, Peter Hofland and Sonia Portillo talk with Dr. John B. Kisiel, Assistant Professor of Medicine and a Consultant in the, Division of Gastroenterology and Hepatology, Department of Internal Medicine at the Mayo Clinic in Rochester, Minnesota. The overall goal of Dr. Kisiel is to improve the clinical outcomes of patients with gastrointestinal illness by providing excellent bedside care and conducting clinical and translational research. His primary ... See More research focus is the prevention and early diagnosis of cancers and pre-cancers in high-risk patients. In today’s program Hofland and Portillo talk with Dr Kisiel about finding cancer early– which is part of an evolution of cancer diagnostics since the signing of the National Cancer Act and the start of the ‘War on cancer’ in the 1970’s. Over the last decades the development of new technologies designed to detect cancer early, has become a priority in research. The clear advantage of being able to treat cancer sooner, is that it may lead to better results and offer a survival advantage. And with an early diagnosis, treatment may also be less invasive. At the Mayo Clinic in Rochester, Minnesota, Dr. Kisiel is among a select number of physicians working on the development of these novel tools. Together with a multidisciplinary team of doctors and scientists Dr. Kisiel validated, for example, the use of stool DNA to detect cancers and pre-cancers. These diagnostic tests use state-of-the-art molecular genetic techniques, and are developed in collaboration with industry partners, including Exact Sciences, and various centers of medical excellence. The collaboration between Exact Sciences and Mayo Clinic started in 2009. One of the results of this collaboration was the development of the Cologuard, a stool-based, advanced-DNA screening test for colorectal cancer. This non-invasive test was approved by the U.S. Food and Drug Administration in 2014 and has been used by more than 1 million patients. Stool DNA testing, which has been validated in the general population for detecting colon cancers and polyps, shows promise for detecting cancers throughout the gastrointestinal tract. Dr. Kisiel and his colleagues are working to develop this technology to noninvasively screen for cancers that are difficult to detect by currently available tools. With this effort, they hope to reduce patient discomfort, improve patient care and – which is also a key consideration - lower costs of care. Among other types of novel diagnostics tests being developed by Dr. Kisiel and his coworkers at Mayo Clinic is a new test designed to identify a blood-based DNA Biomarker panel to accurately diagnose hepatocellular carcinoma. Data Presented at the Digestive Disease Week, held June 2 – 5, 2018 in Washington, DC, shows that a panel of six biomarkers is 95% sensitive for most common type of liver cancer. Working together with researchers at Exact Sciences, Dr. Kisiel and his coworkers announced significant progress toward developing a panel of novel, blood-based, DNA biomarkers that could accurately detect hepatocellular carcinoma (HCC), the most common cancer that originates in the liver. The researchers detailed their findings during a presentation at Digestive Disease Week, the world’s largest gathering of gastroenterologists and scientists in this field. The biomarker panel was shown to be 95 percent sensitive for detecting hepatocellular carcinoma across all stages. Sensitivity among patients with curable-stage disease was 91%. The panel has overall specificity of 93%, demonstrating its ability to discriminate between normal and diseased patients. Sensitivity and specificity are the most important statistical measures of a cancer detection test’s performance. These results are further validation of advanced DNA technology and the multi-biomarker approach for the detection of the deadliest forms of cancers. Hepatocellular carcinoma accounts for nearly 90% of all liver cancers and is the fastest-growing cause of cancer-related death in the United States. Mayo Clinic experts predict that liver and bile duct cancers will be the third-leading cause of cancer deaths in the United States by 2030 due, in part, to the obesity epidemic. Individuals diagnosed with cirrhosis have the greatest risk of developing hepatocellular carcinoma, and it is recommended that they undergo ultrasound and blood monitoring every six to 12 months. The three-year survival rate for patients regularly tested is approximately 60 percent, compared to approximately 30 percent for those who are not regularly tested . When hepatocellular carcinoma is detected early and treated, patient survival rates improve significantly. Researchers a Exact Sciences estimates that more than 3 million Americans are eligible for hepatocellular carcinoma testing and surveilance. Because current options for monitoring at-risk patients are “sub-optimal”, the potential of an accurate, non-invasive blood test that can identify early-stage disease could potentially transform the way patients are monitored and lead to the identification of many more curable-stage tumors. Today fewer than half of at-risk patients are tested regularly, and some estimates suggest the monitoring rate is less than 20 percent in primary care settings, where most people get their care. Using DNA extracted from the blood samples of 244 people, including 95 diagnosed across all stages of hepatocellular carcinoma, 51 with cirrhosis, and 98 healthy volunteers, researchers tested the samples against 15 biomarkers to identify the combination of six biomarkers that yielded the most accurate detection of hepatocellular carcinoma. Researchers must now confirm the accuracy of the biomarkers they’ve studied for the detection of hepatocellular carcinoma. But in the end, they are seeking to apply this DNA assay technology to detects all cancers, and the findings presented at the Digestive Disease Week – focusing on hepatocellular carcinoma - are an important step toward that goal.